Last year, I was lucky enough to be sent a selection of green goodies from Origins of Beauty for consideration for my Christmas gift guide. 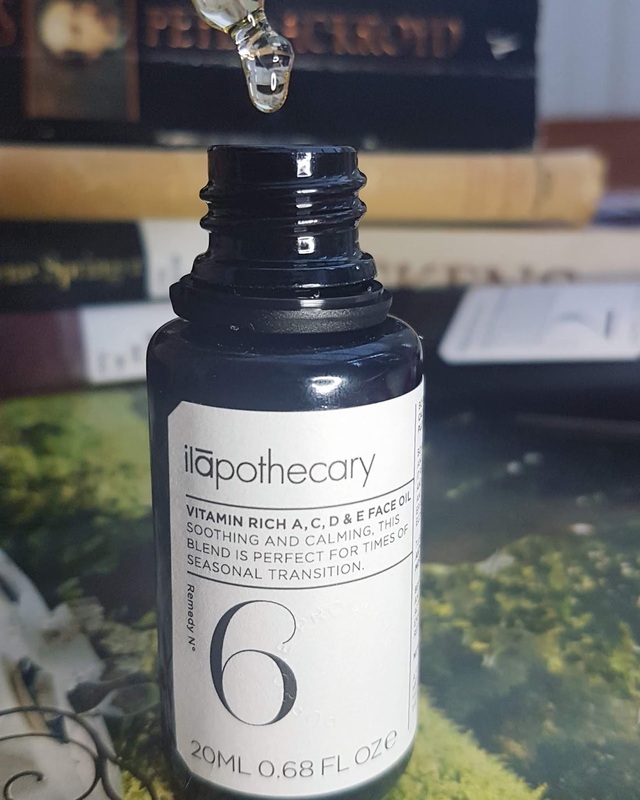 I trialed each and was so impressed by the quality of items that several ended up making their way into my present suggestions, including the Ilāpothecary Vitamin A C D & E Face Oil. But as I have continued to use and enjoy this Cotswold based brand, I have grown to appreciate the beauty of the formulas even more, and I thought it was time they had their very own spotlight here on The ecoLogical! 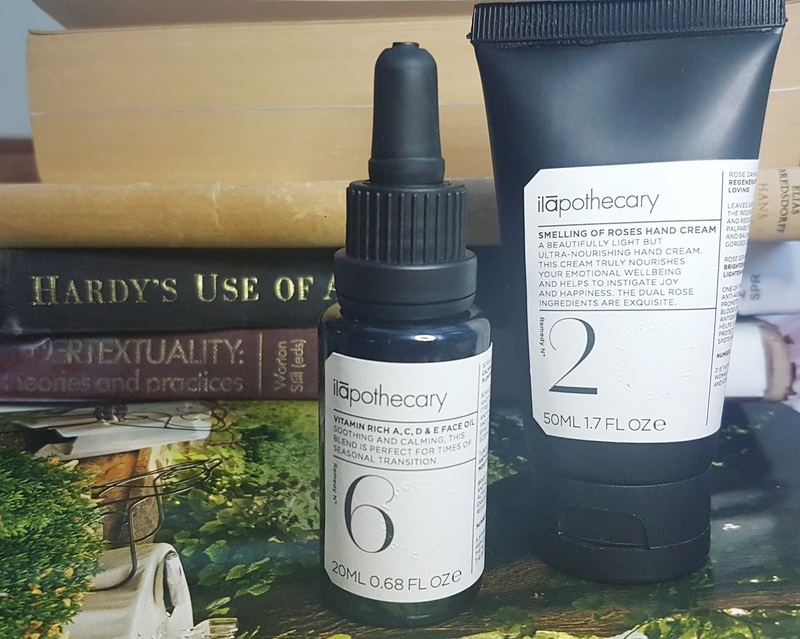 Ilāpothecary was founded by Denise Leicester whose mission is to make creations that are "ageless, to offer, gorgeous, life enhancing products that are as relevant to an 18 year old girl as they are to an 80 year old woman." As a a qualified nurse, aroma-therapist, yoga teacher, sound healer, holistic bodyworker and spiritual philosopher, she has taken a interdisciplinary approach to formulating that has led to products with an incredible impact. Using British herbs, powerful natural ingredients, and homeopathic filaments, Denise expertly blends these healing components and age-old solutions into formulas ideal for the modern world. Numerology is based on a belief in the divine and mystical relationship between a number and its symbolism, associations and inherent power. ilapothecary uses this study of numerical value to reinforce and establish the intent and effectiveness of each product. We believe in living with intention. We believe our products can change how you feel. We hope we can change your day for the better. This is not your average skincare or fragrance brand -- every choice made is done with a clear intention, from names to ingredients to application method. These are transformative formulas, and capture the very essence of holistic beauty and wellbeing. Ilāpothecary isn't about churning out new release after new release, but crafting perfection in a bottle that will provide real results over time. Sound like something after your own heart? Well then let's take a look at two I have had the joy of trying! 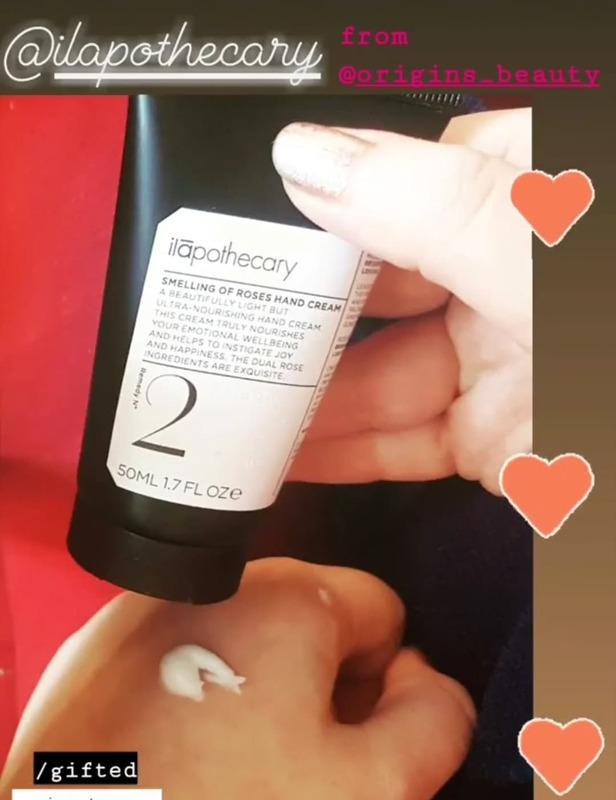 The very first product from Ilāpothecary that I had the pleasure of testing was the Smelling of Roses Hand Cream (Remedy No 2), a treatment perfectly suited for those seeking a moisturizing but non-greasy lotion that brings added wellbeing benefits. In numerology, the number two signifies Eve, the first woman, and represents wisdom, good judgement, and peaceful union that seeks to end separateness. Remedy No. 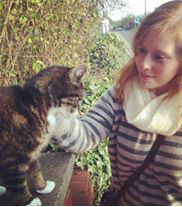 2 was designed with the intention to be regenerating as well as instill a sense of love and joy. The inclusion of rose damascena and rose geranium help achieve these aims. I mean, the description on the tube says it all: "A beautifully light but ultra-nourishing hand cream. This cream truly nourishes your emotional wellbeing and helps to instigate joy and happiness. The dual rose ingredients are exquisite." The scent is incredibly potent and lasts ages, and it is almost like you stumbled into a giant field of fresh roses. Heady, aromatic, slightly sensual, Smelling of Roses is a treat for the senses as well as your hands. 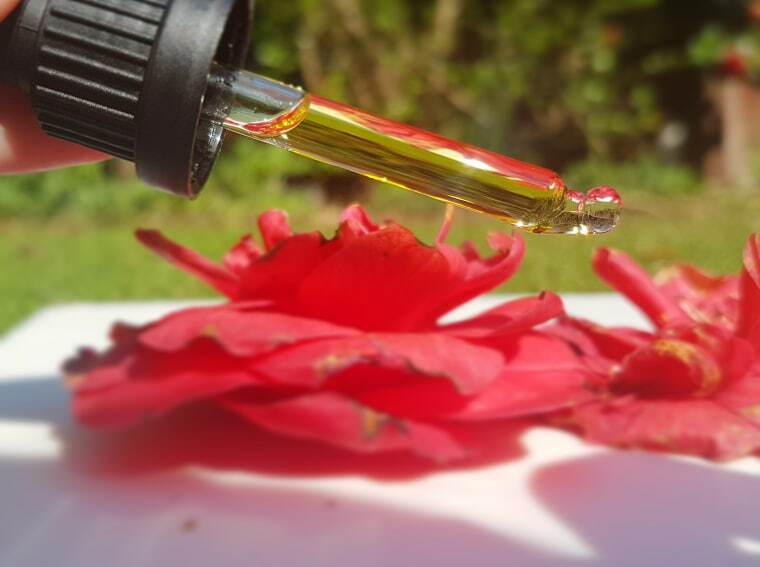 The rose oils act as more than a touch of fragrance, as they promote collagen production and regeneration and the reduction of visible scar tissue, plus help brighten, lighten, and boost radiance. This blend can even help tackle age spots and dark marks! These fabulous floral ingredients also offer powerful anti-aging properties, and aid in cell renewal and proper blood circulation. These two star ingredients, along with shea and cocoa butters, Moroccan argan and apricot oils, and jojoba seed oil, work to provide deep level moisture as well as long-wear protection. And with regular application, you can mindfully massage your way towards healthier hands. You only need a small amount, as it is very spreadable and I find a little goes a long way. The texture is rich but not heavy or overly oily, and it sinks in very quickly. 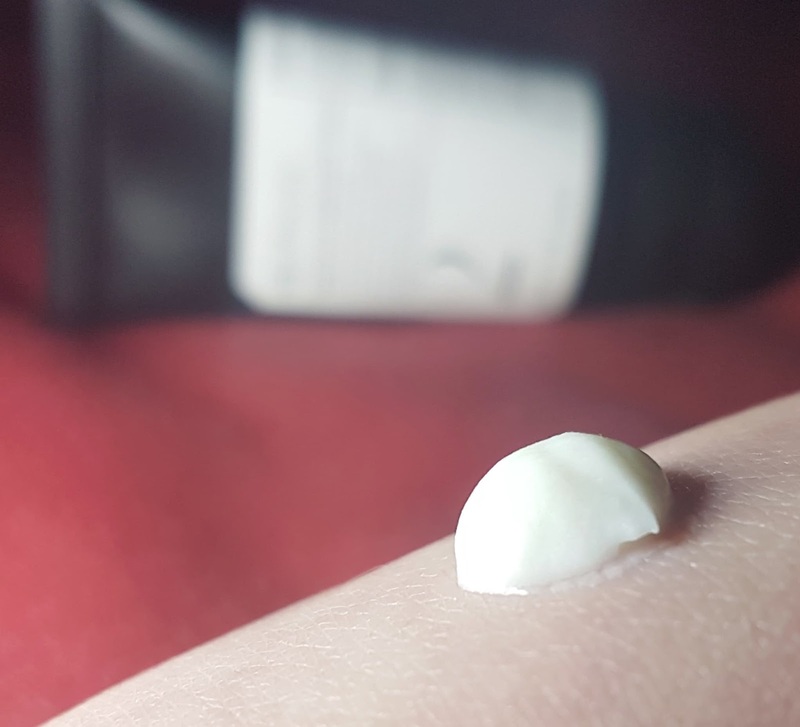 I do find the formula can be a bit strong for my hands on occasion as my skin is semi-sensitive (I will sometimes have a light tingling/itchy feeling for the first minute or so after applying), but the scent is just so hard to resist. Plus, I do find that Remedy No. 2 delivers on all its promises, from brightening to nourishing. If I know my hands are needing a boost and my mood needs a lift, sometimes I will just pop a wee bit of a lightweight oil or serum on first, then once it has absorbed I pop on Smelling of Roses from Ilāpothecary -- this mitigates the other effects and leaves me with soft, smooth, glowing skin! Ilāpothecary has crafted a one of a kind hand cream with Smelling of Roses. Not only does the aroma keep making feel good waves throughout the day each time you catch a whiff of the incredible cream bouquet, Remedy No. 2 also serves as a reminder that what nature provides is potent, pure, and perfectly suited for healing body and mind when placed in knowledgeable hands. Denise Leicester has certainly showed off her talents here, and this tube most definitely won me over quickly. Ingredients: Aqua, Candelilla/Jojoba/Rice Brain Polyglyceryl-3 Esters & Glyceryl Stearate & Cetearyl Alcohol & Sodium Stearoyl Lactylate, Arachidyl Alcohol & Behenyl Alcohol & Arachidyl Glucoside, p-Anisic Acid, Glyceryl Caprylate, Argania Spinosa Kernel Oil, Simmondsia Chinensis (Jojoba) Seed Oil, Prunus Aermeniaca (Apricot) Kernel Oil, Butyrospermm Parkii (Shea Butter), Olus Oil (Vegetable Oil), Tocopherol Extract, Theobroma Cacao (Cocoa) Seed Butter, Xanthan Gum, Aloe Barbadensis Leaf Powder, Rose Damascena Flower Oil, Pelargonium Graveolens Flower (Rose Geranium) Oil. Thanks to Origins of Beauty and Ilāpothecary I have also had the joy of testing out the Vitamin A C D & E Face Oil (Remedy No 6), a product that surprised me at every turn. The blend was created with the motivations of the number six in mind: completeness, beauty, and high ideals. Does it deliver? In my opinion, yes! This facial oil is a "remedial mix of nutrient rich oils including arnica, calendula, borage and rose hip combined with plant stem cells, sandalwood and blue chamomile to feed, nourish and balance the skin." This face oil is ideal for those that struggle with seasonal changes, and will be the perfect springtime treat for your face. Packed with super moisturizing ingredients and including, you guessed it, vitamins A, C, D, and E, Ilāpothecary's oil works to plump, calm, firm, smooth, soothe the delicate facial skin which is so important over this turbulent season. Plus, it has an aroma that is unlike anything else in my beauty cupboard. I'll admit, this fragrance took much longer to grow on me than Smelling of Roses. I am not overly keen on herbal/woody scents, but like many things that are 'good' for you and your health, I figured if I just stuck with it I would learn to embrace the sharper notes and reap the aromatherapy benefits. Well, I can say I have learned to appreciate the perfume-esque qualities, and find the way it develops as the oil absorbs into the skin so stunning. The intensity of sandalwood and arnica slowly transforms into a heady floral scent (clear end notes of roses) with more subtle undertones of the herbal and woody aromas. When applying, I breathe in the oil before massaging into my face, and from the very first breath I can feel my tension slipping away and my mind and body becoming more grounded. This oil is calming for both skin and spirit, and in such a tumultuous world that's something very special. Known as starflower, Borage is a beautiful ancient oil of Britain. Highly anti-inflammatory and packed with essential fatty acids, it restores moisture and smoothness to dry and damaged skin and effectively treats eczema and dermatitis. Brightening, firming and moisturising, this active plant ingredient enhances radiance, promotes the elimination of toxins, increases micro-circulation in the skin and reduces any puffiness. In terms of how this formula works for my face, well, Ilāpothecary has once again impressed me. Remedy No. 6 made such a difference over the winter, keeping my skin soft, smooth, and healthy through all the icy weather and bitter winds. Seriously, it's always a shock how velvety my face feels after use -- it's like an intensive treatment that totally changes the texture of your cheeks and forehead! I also found the Vitamin A C D & E Face Oil helped keep my face looking radiant throughout the darker months, so when the sun finally came out I wasn't left trying to 'fix' dull and damaged skin. The oil is on the rich side, but not greasy or overly shiny meaning I can use this day or night. I prefer to use as part of my evening skincare ritual, as it is a great way for me to relax before bed, plus my 'young' skin doesn't need a double dose quite yet. And again, I love that you only need to use a small amount -- just a few drops is all it takes, and your face is fully sorted! Again, I was beyond thrilled I got a chance to test this beautiful product out, and even though I was not quite sure about the fragrance at the start, it did eventually grow on me. 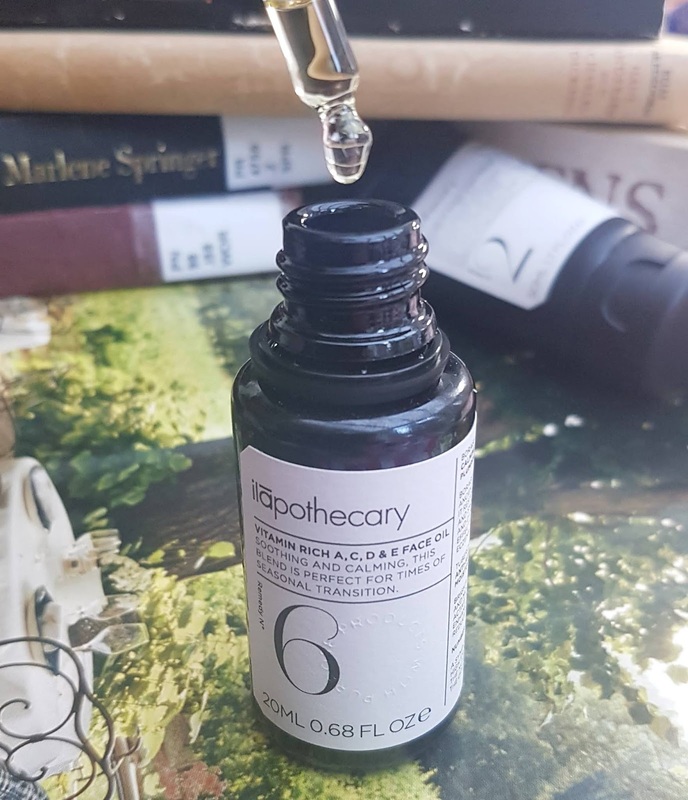 Ilāpothecary has left me wowed by how effective this ten ingredient facial oil is, and has got me rethinking what should be prioritized when it comes to skincare. Anyone else relate?? Ingredients: Calendula Officinalis, Helianthus annuus (Sunflower) Seed Oil (and) Arnica montana (Arnica) Flower Extract, Borago Officinalis (Borage) Oil, Rosa Canina Fruit Oil, Polianthes Tuberosa Callus Extract, Pelargonium Graveolens Flower (Rose Geranium) Oil, Santalum Album (Sandalwood) Oil, Chamomilla Recutita (Matricaria) Flower Oil, Petitgrain Bigarde Oil. 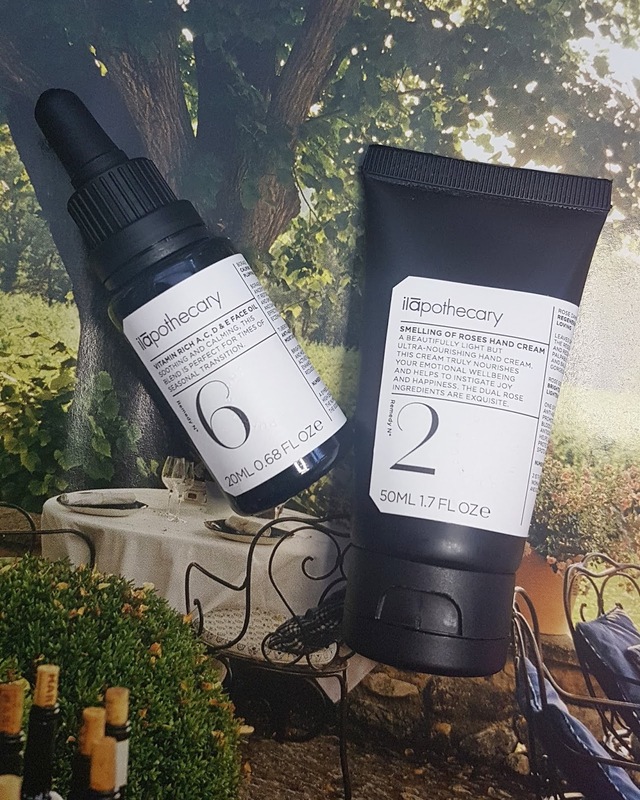 Ilāpothecary delighted me with their impressive products, and I am so thankful I had a chance to try out both Smelling of Roses (Remedy No 2) and Vitamin A C D & E Face Oil (Remedy No 6). I already have a few more of their products on my wishlist, and as soon as I have freed up so room in my beauty shelves I will be picking up some more fabulous skincare goodies and maybe even a candle to have a full on pamper session with. It's no wonder why the Duchess of Sussex made a visit to Ilāpothecary, as their range of aromatherapeutic products is luxurious in all the right ways. From their holistic approach to beauty to their memorable scents and visible results, this is a brand that delivers on everything, including accessibility. Available in store in London or online from Origins of Beauty, you can have these skincare and wellbeing treatments delivered straight to your door! Shipping prices are super affordable (and if you live in the UK, you get free shipping!! ), plus you can claim reward points on your purchases making future shops even easier! And guess what -- right now you can pick up any item in the Ilāpothecary range for 15% off! Just pop code BSKYE15 in at checkout and you will receive this exclusive discount!